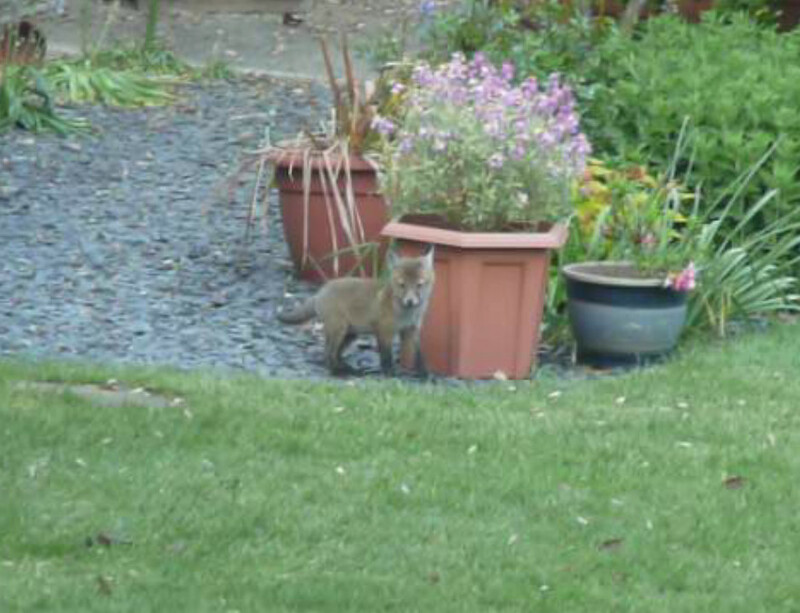 My parents currently have six fox-cubs (and a somewhat harrassed-looking mother fox) playing in their garden every evening. Even the presence of a visiting Sidney-dog the other weekend apparently hasn't put them off (maybe they realise just how soft she is). 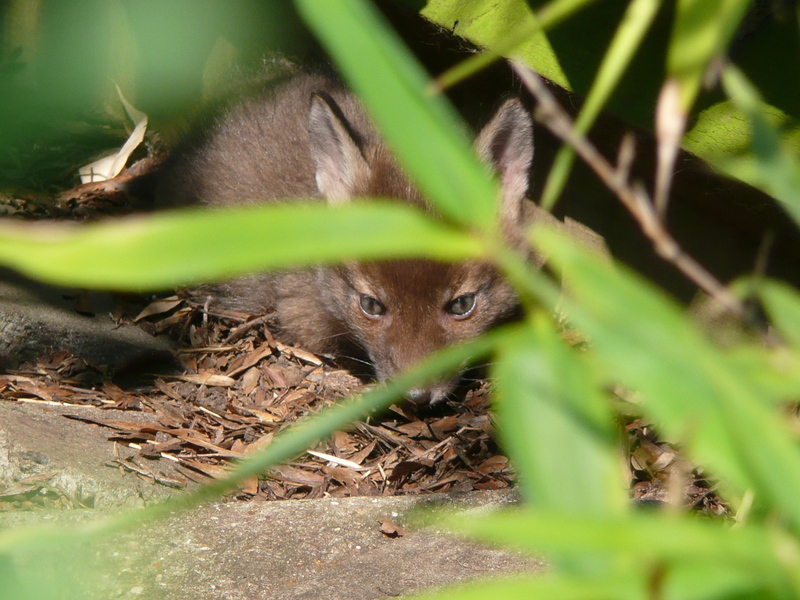 It's not that surprising, really – though I can't find a figure on their website, the London Wildlife Trust are quoted elsewhere (2006) as estimating the London fox population at 10,000, or about 16 per square mile. 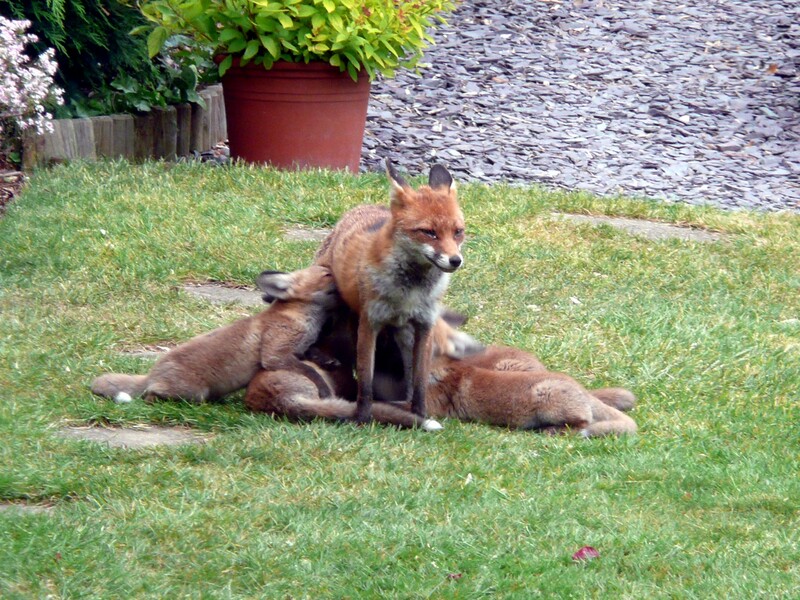 They've adapted well to urban life, although their average lifespan is still only a couple of years (around 60% of the fox population dies each year). Now, apparently, they're bigger, adolescent foxes who have started to take life seriously and are playing fewer fox-cub games. Adolescent foxes start exploring beyond the close vicinity of the den around this time of year, so Mum & Dad may see less of theirs soon. 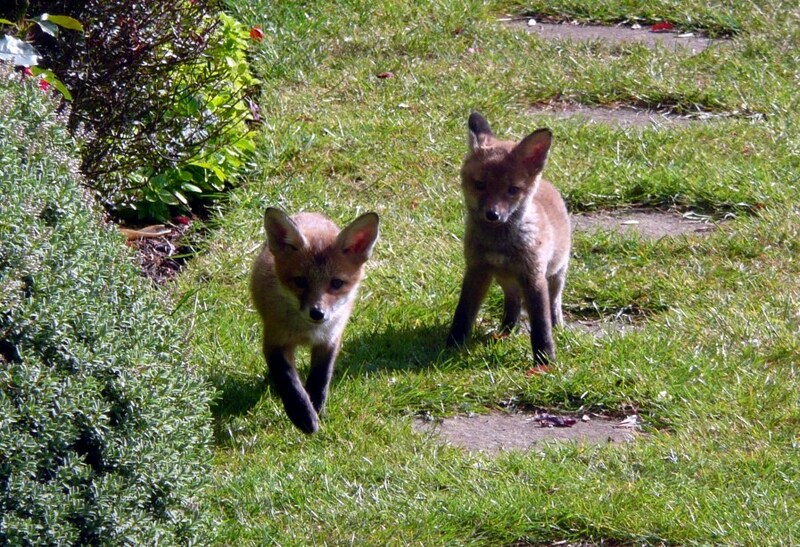 But that's also why there seem to be a lot more foxes around in early summer, as adolescent foxes are more likely to show up in places where older foxes are too wary to go. (Apparently teenager-hood is a cross-species experience.) The family group will gradually spread out over a wider area during the summer, but the cubs will broadly speaking stay with their siblings and parents until autumn, when they move off in search of their own territory. A fair few of them, sadly, won't make it through to next spring to have their own litter -- autumn is when the road death-toll is highest. 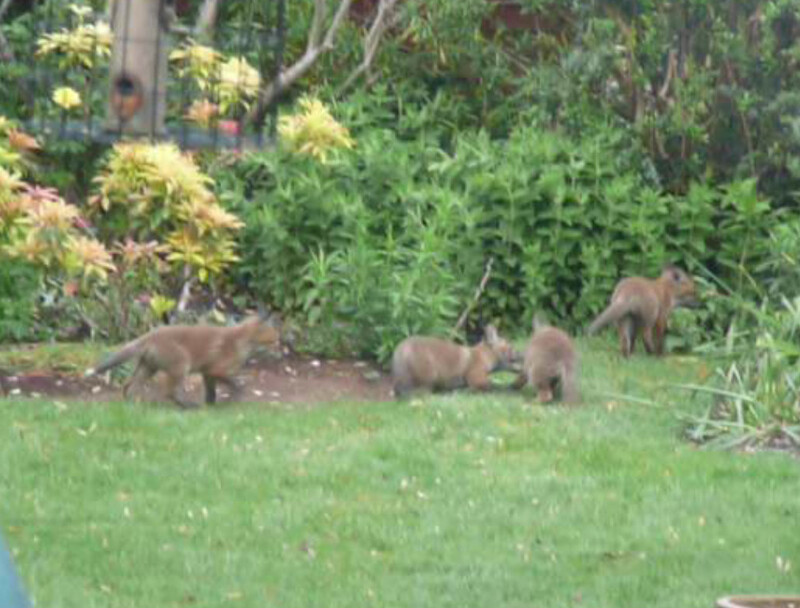 There's intermittently some concern (albeit from a minority) about urban fox populations. But, as is almost always the case with wild animals, any blame is misplaced. 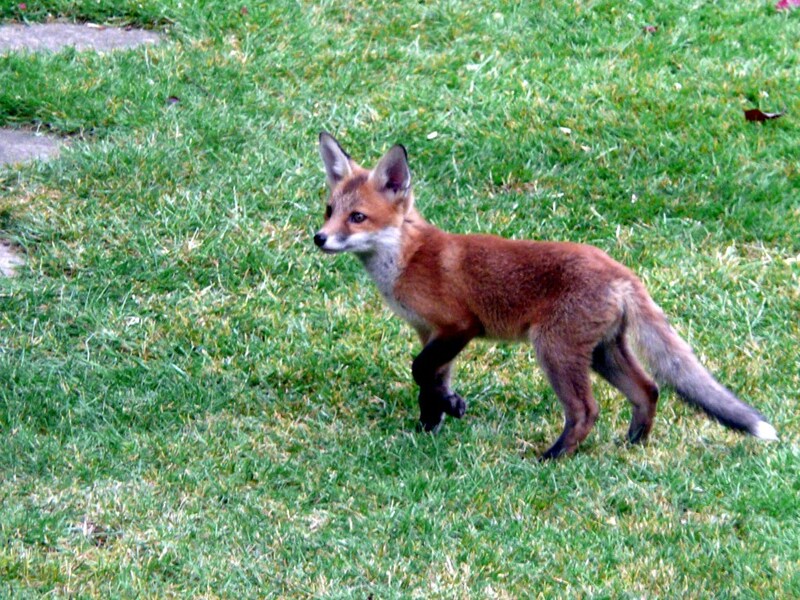 Foxes, like rats – those other urban scavengers par excellence – eat our rubbish. As long as we leave plenty of it lying around, there'll be plenty of them. Anyone concerned about fox numbers should address themselves first to the sheer scale of food waste scattered across urban streets; and perhaps check out these recommendations for deterrents. 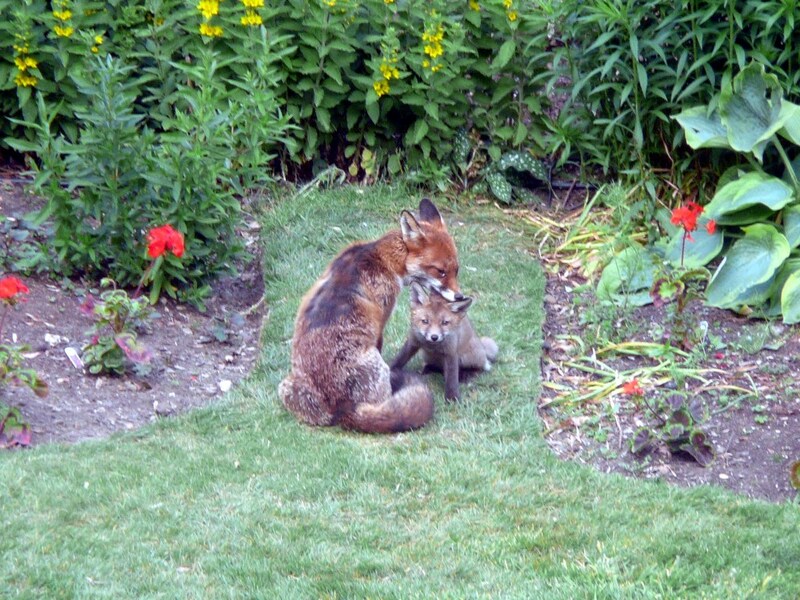 Or, like my dad, you can sneak them out a bit of organic chicken, and enjoy the sight of urban wildlife thriving. All photos courtesy of Graham Kemp.